Selected database is quickly scanned and loaded for preview in an instant. 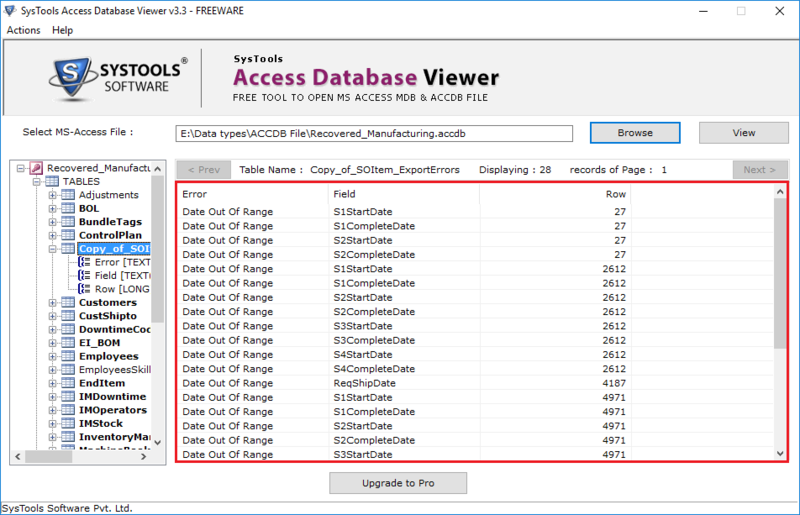 The MDB Viewer application doesn’t apply any size limitation on the Access database. You can open and preview database of any given size successfully. 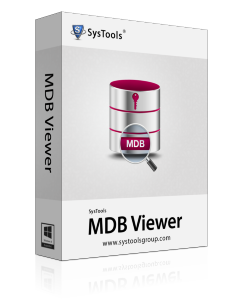 The MDB/ACCDB Viewer comes with advanced technique integrated into it that allows previewing corrupt database too. You can open and view Access database regardless of the fact that it is healthy or corrupt (minor or majorly). 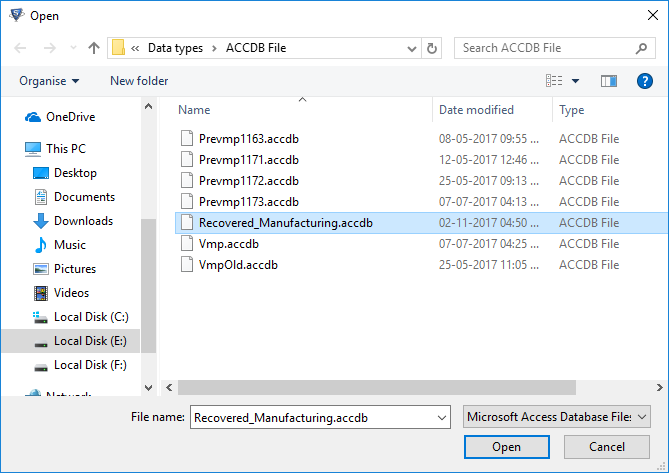 Access database MDB or ACCDB can be opened and read without the support of Microsoft Access required. The software is a standalone and doesn’t require support from external applications to run and read MDB file without Access database. Support for the preview of both; MDB as well as ACCDB file is provided by the software. All versions of Microsoft Access database (2016/2013/2010/2007/2003) are supported as MDB belongs to the older versions while ACCDB is the new database format. Complete preview of the contents in selected database is displayed on the preview pane. Consisting Tables are listed on the left panel and inside data of a selected Table is displayed on the right pane with buttons to switch between pages within. The Graphical User Interface of the MDB Viewer software is both; intuitive as well as easy to be handled. Technical as well as novice users can read their database on the platform without having to be equipped with technical know how. MDB Viewer show only preview of MS Access Database file (ACCDB & MDB). Is it possible to read MDB file without MS Access? Yes, you can open and read MDB file and its contents even if Microsoft Access is not installed on the machine. Standalone Access database Viewer is the primary purpose of the software. Can I view even my corrupt MDB database? I believe that one of my old Access database file is corrupt which is why I am unable to open it. Can I view the contents on this utility? Yes, you can view the contents of healthy as well as corrupt Access database files. The software is integrated with a Recover button using which you can scan and load the file to view it. Is it also possible to open an ACCDB file on the software? You can view any of the two Access databases with the help of this software. 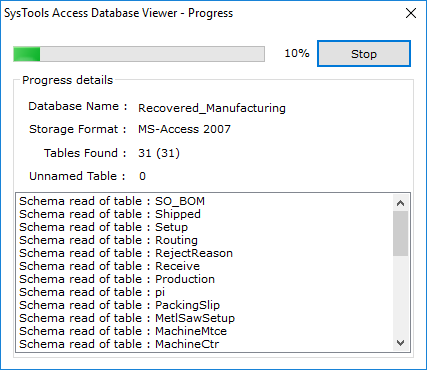 The tool supports Access database generated using all MS Access versions, i.e. MDB as well as ACCDB database types. How can I view multiple Access database at a time? I have more than just one MDB file has to be viewed. Can I view these databases altogether on the tool? No, the software to open mdb file only supports opening and reading one Access database file at a time. You can view as many files on the software one by one, but not all at once. I have a Windows 10 machine. Will the software work on it? Yes, the software supports all Windows versions including the latest Windows 10 & all below versions. We had a few important Access databases with us but they were not proving of any help as without a suitable platform opening and reading them seemed impossible. However, MDB Viewer came out as an easy and instant solution for reading our databases in a go! Thank you so much team! At first the solution seemed MDB specific only however, it was later after knowing more about the tool I discovered that even ACCDB files were supported. 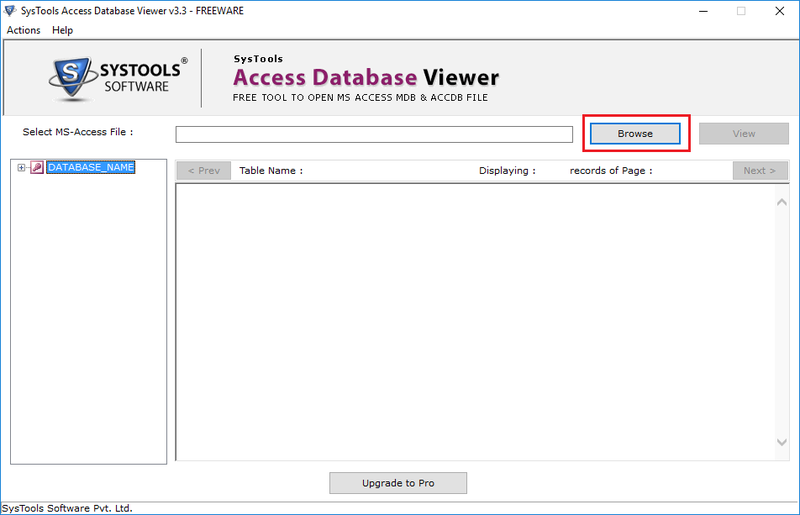 Being a freeware was just a plus point and now reading Access database without MS Access is also possible. Great tool!